Writers ARCADE Rehearsed Readings will take place every Wednesday from 6 May – 24 June 2015. In this new series, we’ve asked the members of the Writers’ ARCADE to tell us more about their experiences of being involved in the group, the works they’re presenting and their hopes for the future. 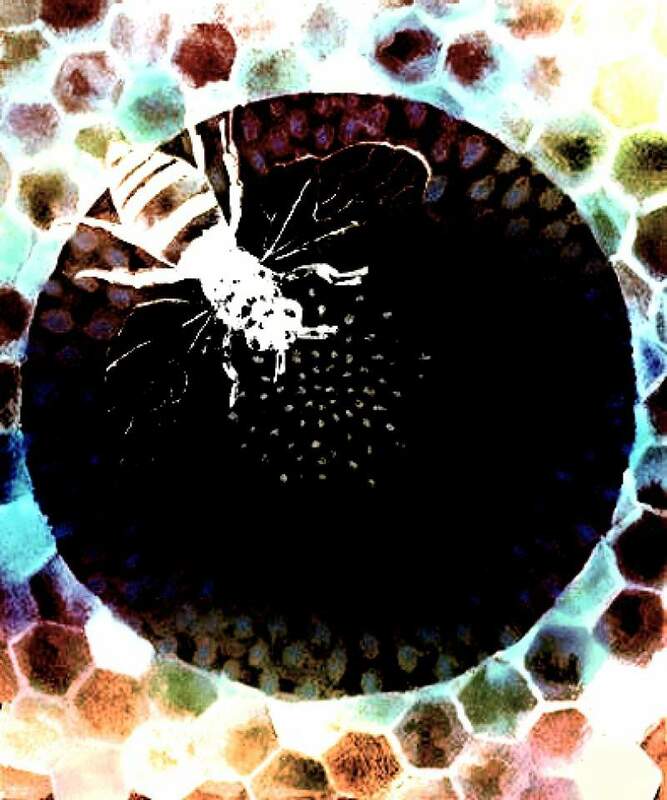 In this final instalment in the series, Allison Davies talks about her work Song of the Hive. Words: Allison Davies. I taught myself to read when I was three because I loved stories and got fed up of having to wait around for an adult to read one to me. Not long afterwards I realised it might be fun to make up my own too. Anything was better than my dad’s tales, which invariably began with the line, “There was this one man…” (He was an engineer. What can I say?) Throughout school I enjoyed anything remotely creative and switched off from anything that wasn’t. My first experience of any kind of theatre was as a seven year old, at the Civic Centre in Whitehaven, when our class was taken to see the annual winter pantomime Cinder Goose. Or perhaps it was Motherella. I remember harassing the fairy, fuelled by gallons of coca cola and what must have been the equivalent of my own bodyweight in sticky sweets. It was an amateur production, the set wobbled, the costumes had all seen better days and I loved it! So I decided I’d have a go at writing a play because when you’re seven years old you think you can, and so you do. The result was Death By Socklight, a murder mystery set on an onion farm, or something like that. The exact details are a little hazy but I do remember our teacher allowing a few friends and I to stage it one afternoon towards the end of term. It was ropey but I enjoyed every minute and thought maybe one day I’d write real plays for tall people with jobs and cars and houses, necked a packet or three of wine gums and went to make up yet more stories in my den by the river. Did I mention that I love stories? I mean, I really love stories. We all have one, and they all deserve to be heard. That’s one of the reasons I write, to somehow make sense of the world through the lens of our shared narrative. I think I’m somehow hardwired to write. It’s the one thing I seem to be kind of okay at. Spin forward several years and add a few for luck, by which time my dreams of being a writer had been put on hold while I studied for degrees in Law and Nursing Science and tried to make some sort of a living. Thank goodness for a wise friend who dared to me to apply for an MA in Creative Writing. I like a dare so I filled out the form, bunged it in the post and a month later was accepted. The course included modules in script writing and it was like watching that amateur pantomime all over again. Love at first sight. I wrote a screenplay, a radio drama, finished the course and thought, what next? At this point I’d yet to hear my words being spoken by an actor, so when another friend sent me an advert for a New Playwrights Laboratory programme at Arc Stockton I knew I had to sign up. The culmination of this was a festival where all our plays were performed. It was a revelation to work with trained actors and directors and to see the characters I’d written come to life. I was lucky enough to win the festival with a play called Toast and went on to develop the piece into Weather to Fly, which toured successfully in 2013/14 with Odd Man Out. Since then, my feet haven’t touched the ground. I was a finalist in the Journal Culture Awards, worked with Encounter Productions on Fieldwork, staged an in-development piece, String, as part of Middlesbrough’s New Writing Festival, researched and co-wrote How Did I Get To This Point with Ali Pritchard of Alphabetti Spaghetti and over the past few months I’ve been working on Into Thin Air with Precious Cargo Collective which opened at the Prague Fringe Festival in May 2015 and which tours later this year. None of this would have been possible without the constant support of Writers’ ARCADE. My plays would still be languishing on my hard drive and I wouldn’t be part of a dynamic and inspiring group of individuals whose friendship, feedback and encouragement keep me on track as I develop my writing practice. I’m grateful to each and every one of them. The scheme provides us with opportunities to participate in stimulating workshops run by some of my heroes (Chris Goode, Selma Dimitrijevic) as well as matching us with excellent mentors. I’ve been lucky enough to work with Stella Feehily (Ducks. This May Hurt A Bit), during the writing of Song of the Hive and I’ve benefited hugely from her insightful questions and comments as each successive draft has been completed. The play explores human love and relationships through the eyes of environmental activist Claire and. If you care about people or the planet it would be great to see you there. Whenever I write my aim is always to leave an audience with questions, so come and see whether I’ve succeeded with this show. I’ll be in the bar afterwards and would love to hear what you think of it. Once the reading is over I’m looking forward to polishing up the script and sending it out to literary managers around the country to see if anyone fancies taking a punt on it. I owe Arc Stockton and Writers’ ARCADE a massive THANK YOU and can honestly say the group has been a profoundly transformative influence in my life. I can’t wait to see what we come up with for our next project. Song of the Hive comes to Arc, Stockton on Wednesday 24th June.